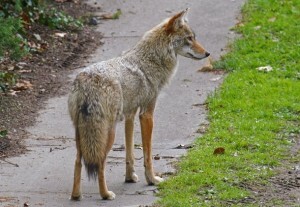 Coyote start out in small numbers in your neighborhood, but they can cause bigger problems in the future. When the number of Coyotes increase, they can be come a menace to your home and knock over garbage cans and eat your pets. They will create dens in your yard, inviting more Coyotes into your neighborhood.